Golden Riverside* and Black Madeira were truly spectacular! Last year in 2015 it was somewhat watery due to all the rain we get here in Seattle. 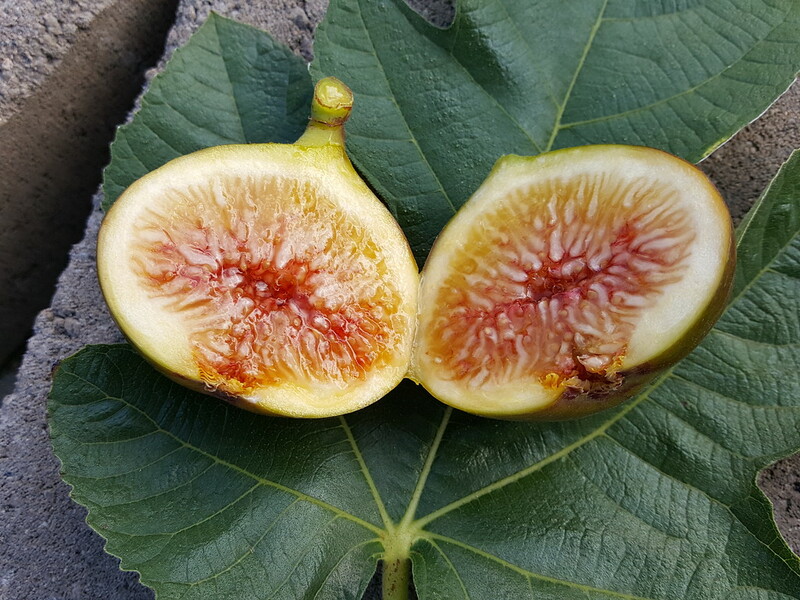 But this year when the fruit had time to grow in my brothers greenhouse and a full season to ripen it became one of the best tasting figs in my garden. The taste was reminiscent of a Black Madeira fig in terms of texture, bite and richness but with a drip of honey. Just thinking about it makes my mouth water! 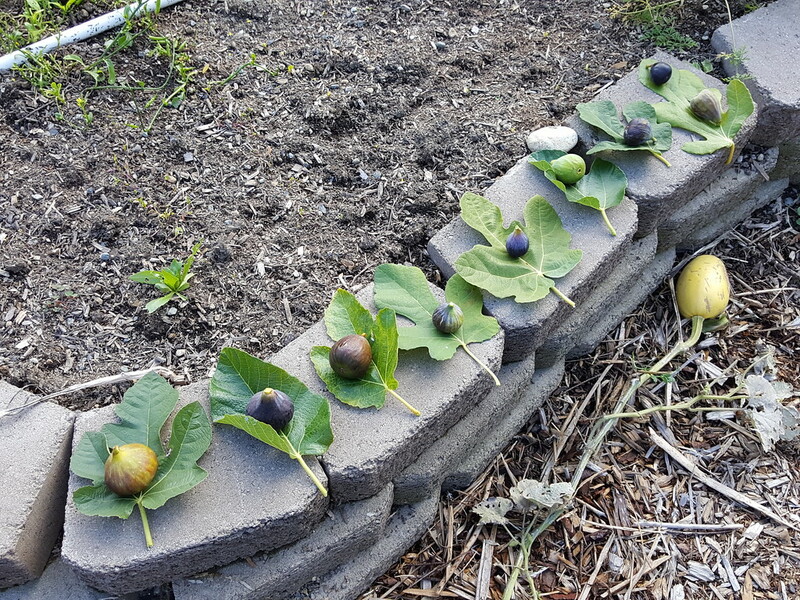 Black Madeira is marginally better in terms of taste but the Golden Riverside wins in terms of being such a flavorful large fig with great productivity. I'm so happy that my fascination with Black Madeiras have lived up to the hype. 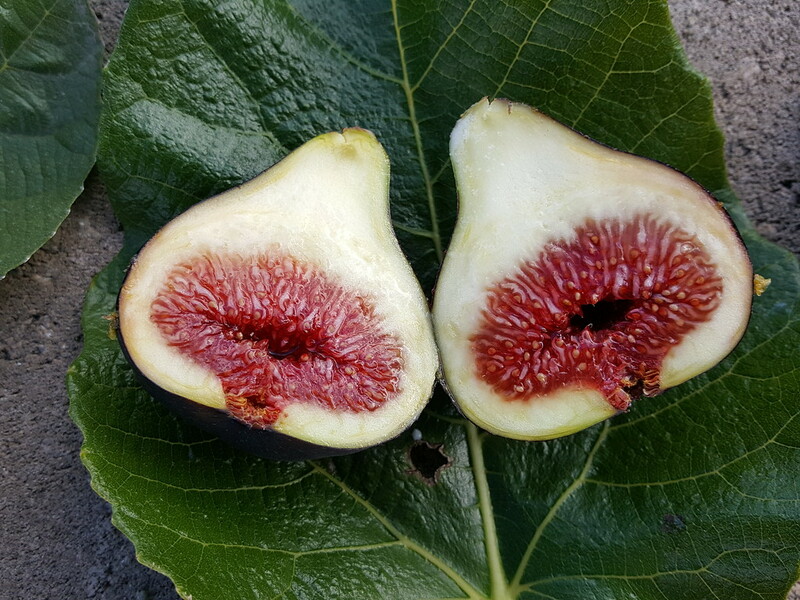 It is truly an amazing fig in terms of taste richness and bite. When I say bite I mean that the fruit stays firm but not soggy or falls apart while keeping all of it's flavor. 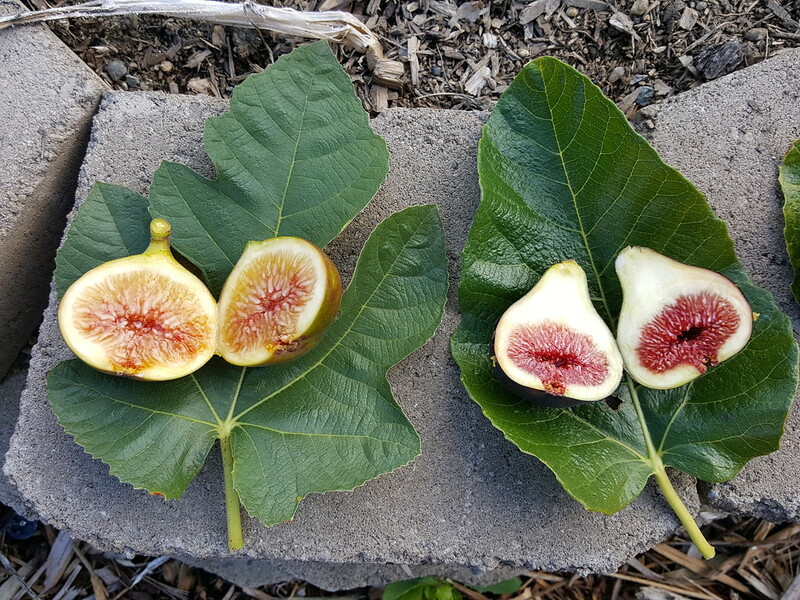 Both figs require a long season but if you have a greenhouse these two are worth the extra effort to keep. See my taste rankings here. * I put an asterisk next to the Golden Riverside because the gentleman I bought the tree from wasn't really sure of the name. It's the only variety he's grown for decades and named it Golden Riverside after doing some googling. So there's a small chance it maybe another variety altogether.